Can Geodesign Help Us Adapt to Climate Change? The earth’s climate is changing, leading to serious problems for humanity in areas such as food security, health, and public safety. We need to adapt swiftly. But where do we start? Should we reinforce or rebuild existing structures? Or should we abandon existing settlements and relocate the population in some cases? And how can mass rebuilding/relocation efforts be best accomplished from human, environmental, and economic perspectives? Geodesign is a framework for understanding the complex relationships between human-designed settlements and the changing environment, for quickly planning ways to adapt existing communities and build new ones in a more sustainable manner. This methodology helps us assess risk, identify change, create synergies, develop strategies, adapt to change, and monitor the results. Geodesign takes an interdisciplinary, synergistic approach to solving the critical problems of future design—to optimize location, orientation, and the features of projects at local and global scales. How can geodesign help us adapt to climate change? I recently asked this question at the Spatial Roundtable (www.spatialroundtable.com), where geospatial industry thought leaders share their perspectives about concerns, trends, challenges, and technologies. Participants in the Spatial Roundtable offered thought-provoking insight into the role of geodesign in climate change adaptation, and I would like to share some important points made by several contributors. 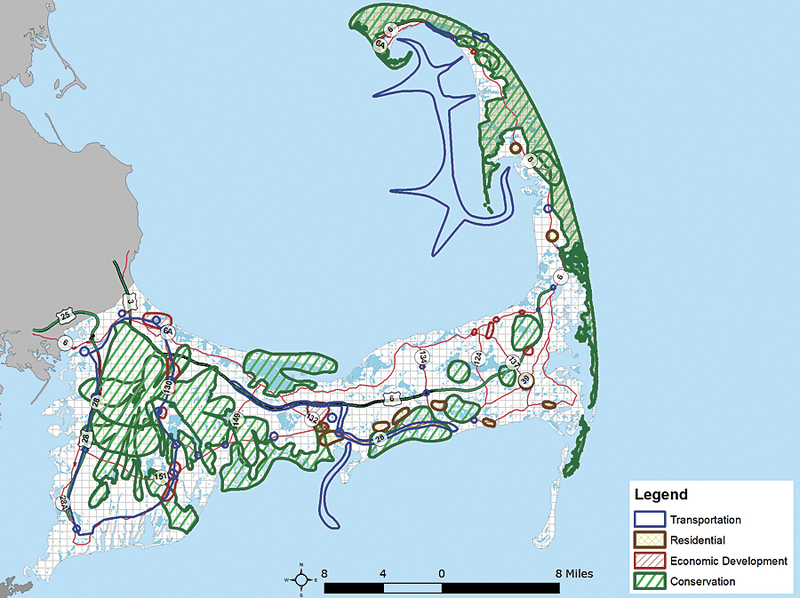 This climate change scenario planning study for Cape Cod demonstrates the communicative power of geodesign using spatially informed models, fast feedback, and a large format sketching environment. I’d like to thank all of the Spatial Roundtable participants for their valuable insights on this important topic. You can read the complete responses here.